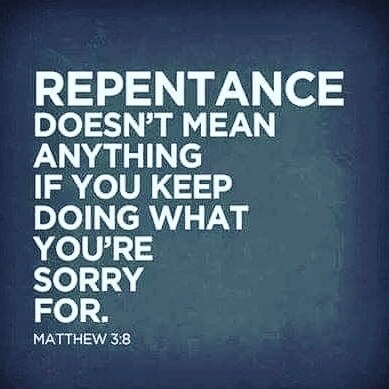 Repentace is a changing of direction from sin to Jesus Christ. This change is founded in a change of thinking. Change in the way you view/ think about sin. Change in the way you view/think about God. Real Repentance will always reveal itself in real life change. If nothing has changed. You have not repented. He can and will forgive you when you repent. Believe the Gospel of Jesus Christ and Repent of your sin. Previous Post You Can Trust God!